To identify threats and opportunities, analysts may look through thousands of data records manually, or define KPIs and make a discovery literally in a few clicks. 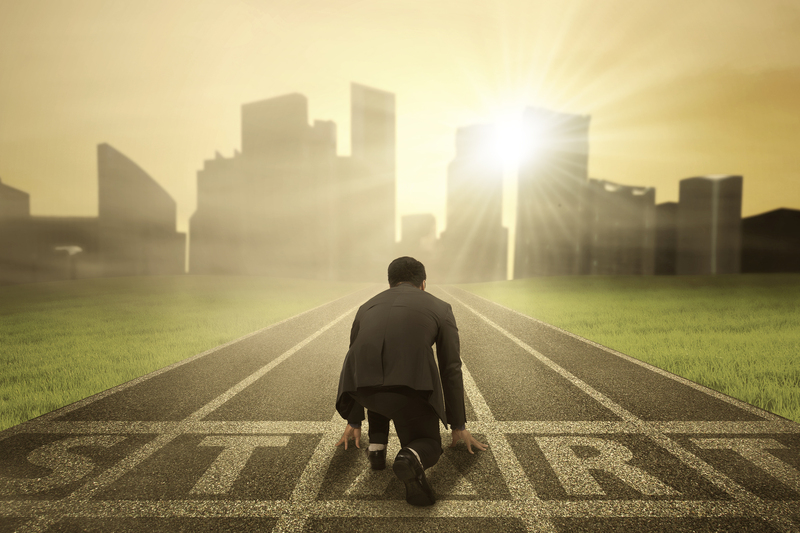 Which approach will your business choose? According to Richard Branson, a business magnate and investor, “business opportunities are like buses, there is always another one coming.” The idea seems convincing: however, there is hardly a person who did not feel disappointed when they missed their bus. Likewise, companies prefer not to miss their opportunities. But how to recognize them well in advance? In fact, a company can identify threats and opportunities with the help of business intelligence. Here, we will not focus on the simplest, but highly inefficient approach of scrolling through thousands of data records. Instead, we will dwell on the approach of defining relevant KPIs, which BI consulting practitioners advise. As the challenge described is not industry-specific, let’s consider a large product portfolio (100+) – an example relevant to several industries (for example, retail and manufacturing). Now, let’s take a closer look at how business intelligence and data analysis can help in defining KPI metrics and in finding opportunities and threats related to a particular product. As a business has to deal with a big volume of data, usually taken from numerous sources, in order to reach the data, a company needs to implement BI infrastructure. This requires using a tool that is capable of connecting to multiple data sources from which data is combined to create OLAP data models for slicing and dicing. At this stage, to build a required BI infrastructure and ensure data quality, companies may reach out to business intelligence consulting experts. The next step is to define KPIs. At this stage, it’s crucial to have a clearly defined strategy and know how to translate it into right KPIs to create a hierarchy where lower levels support higher ones. 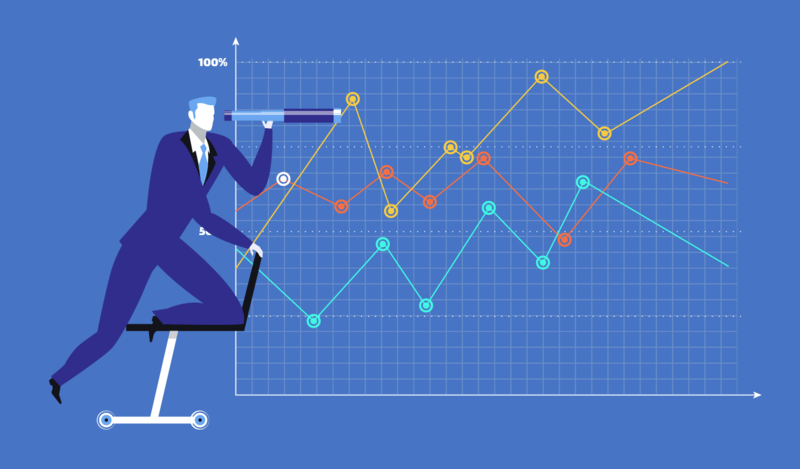 Thanks to historical data analysis and forecasting, business intelligence allows companies to define metrics and set KPI targets, both long-term and short-term. In a constantly changing environment, it is important to keep track of the dynamics. The following KPIs may be useful for this purpose. With absolute values, it’s possible to look quickly at best (or worst) results in a few clicks. A simple filtering will put the required information to the top. Having right dimensions and measures, a company will easily learn, for example, what product brought highest (or lowest) sales and margin. When compared with others, Product 1 looks the best, while Product 4 looks problematic, as its sales decrease faster. Besides, there is an overall decline. Correspondingly, a company will focus on improving its overall performance. Choosing the wrong period to measure performance may lead to distorted results. For instance, a company takes the period of last 2 weeks when the sales are growing. But if we look at last 10 weeks, we’ll see a decline followed by a slow recovery. 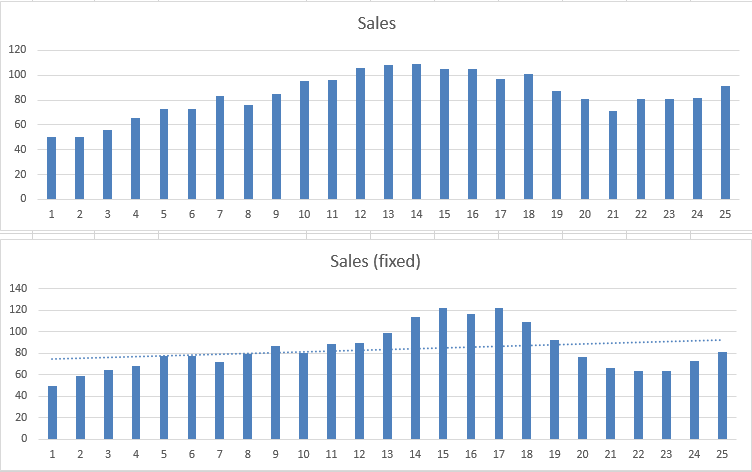 To avoid serious fluctuations that seasonality brings, it’s necessary to define a seasonal coefficient for each month (for example, Jan: 1.0, Feb: 0.98, Mar: 1.0, …, Jun: 2.5, Jul: 3.2, …) and apply it to the values (for instance, sales). This simple measure will help to get season-neutral values. 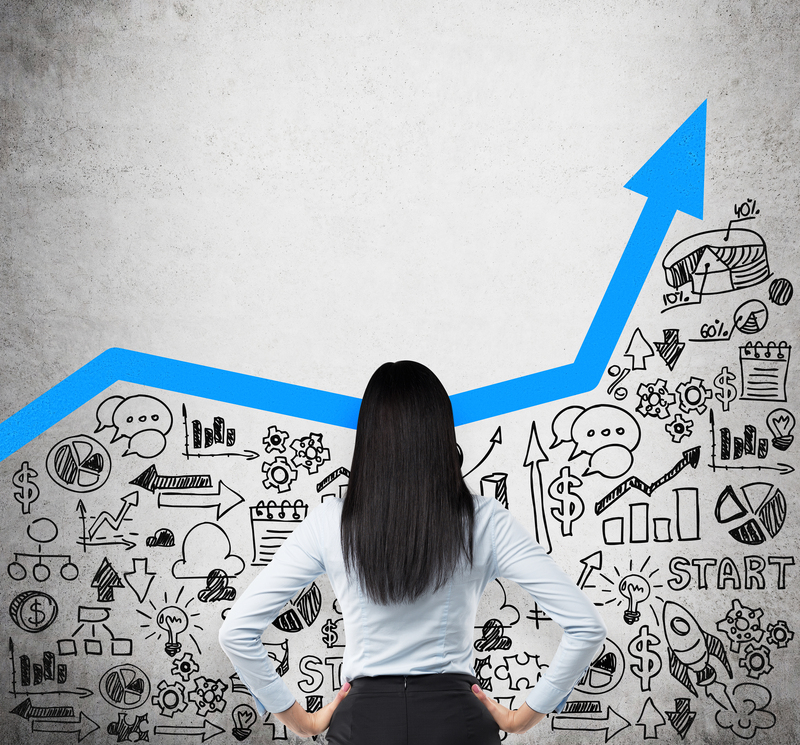 How can a company know if a 5-percent growth is enough? It depends on what they defined as good. For that, a company should set a target for each product, as some products cannot (or should not) grow while others are expected to do it. A larger company may need to set more sophisticated targets for every product and region combination. For example, Product 1 should grow fast in TX and CA, while product 34 in NY and PA.
To cope with the challenge of identifying threats and opportunities, a company needs KPIs oriented towards finding these valuable insights. Business intelligence can be a helpful tool for defining these KPIs, and an implemented BI solution will allow filtering, grouping or sorting in a few clicks, instead of scrolling through thousands of lines. So, you have made the decision to dive into the world of IoT and Big Data? Where to start is the major question and can seem overwhelming. Preston Gralla has come up with some key steps in making the decision or updating your current solution program in his article, 6 Tips for Working with IoT and Big Data. The first clear way to dive in is to know the problem you are facing and what the end result looks like to you. Without a crystal clear picture of what you have to solve, a project can easily head in a different direction or take longer than expected to go into implementation. Then, you must deploy the “right people” on the project. Gralla states that Data scientists can be expensive to employ and hard to come by, because, today, they are so much in demand. Instead he suggests that you seek the resources within your company. Employees with the Big Data and IT experience may have the drive and motivation to learn new techniques in order to take on new projects. Next, Gralla talks about how important it is to know exactly which data you will collect and also how it will be stored. 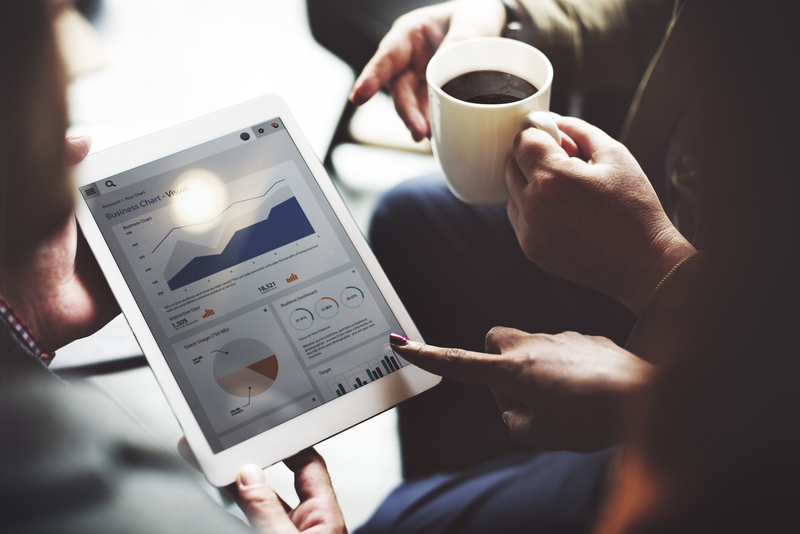 In order to get the most from your analytics, it is important to be working with precise data that will give you the most accurate results and ROI. Data can be made up of complex layers and other times, it can be a simple layer of information. To ensure that it will work compatibly with each other, Gralla suggests that businesses build an extra abstract layer to allow room for extra layers of data that you may encounter along the way. The fifth tip that Gralla suggests, has to do with the platform. A large data analytic platforms can be very expensive and take extra time to develop. It may be the most efficient to invest in an outside platform for analytics and even maybe a cloud-based system. And finally, the last bit of advice when tackling Iot and Big Data is to start with a manageable size and continue to grow from there. Many businesses will take on too much at one time and struggle to succeed at them. Instead, start small so that you can manage to smooth out any errors along the way before taking on more.